Hit pairs that had more than one release together in 2016! Breaking: Sivakarthikeyan to act in an alien fantasy film? Chennai city Box Office: Remo beats Vedalam! STR supports Sivakarthikeyan | Remo Controversy! This page hosts a weekly slideshow related to Tamil movies. Each slide includes a picture and some description about that picture. All the slides will have a recurring theme. People looking for actress stills, actress images, actor stills, actor images, movie stills, movie images, and other interesting topics, relevant issues in Tamil cinema will find this page useful. SURPRISING: RELEASE DATE OF SIVAKARTHIKEYAN'S NEXT IS FINALIZED! 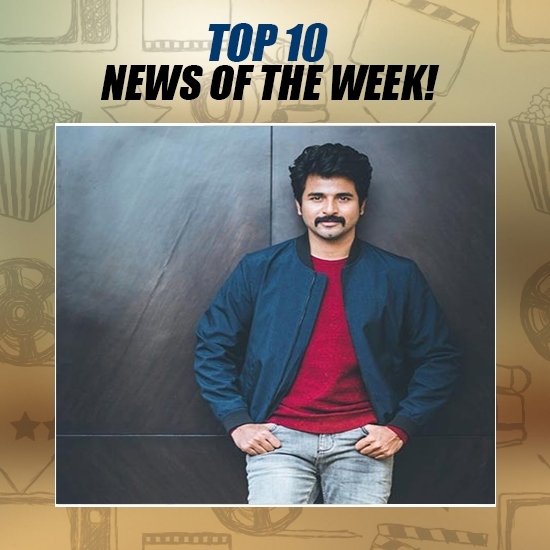 | Top 10 News of the Week(Nov 6 - Nov 12).